April 2019 is unusually quiet compared to previous years. However, as Richard Porter, Employment Law expert with Thompson Smith and Puxon explains, despite the huge distraction of Brexit, the government has found time to make a few changes. Richard also outlines the anticipated effect of Brexit on UK Employment Law and the implications for EU workers in the UK. increase in the accommodation offset to £7.55 per day (from £7.00). the liability for aggravated breach of a worker’s rights has increased to a maximum of £20,000 (from £5,000). increase in the rate of statutory maternity, paternity, adoption and shared parental pay to £148.68 per week (from £145.18). Many significant areas of employment law are based on EU law, such as working time rights and employee rights on the transfer of a business. After the UK leaves the EU, with or without a deal, EU employment law will be converted into UK law. Depending on the terms of any deal reached with the EU, workers’ rights under EU law should continue to apply during any transition period. The government has announced its commitment to maintaining workers’ rights beyond the end of any transition period. According to an announcement in March 2019, this means that whenever Parliament considers a new law which could affect pre-Brexit employment rights, the government will have to make a statement on whether the new law honours this commitment. Parliament will also be given the opportunity to vote on whether any new EU employment law should be introduced in the UK. 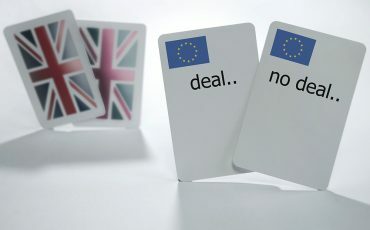 If the UK leaves without a deal, the government may introduce legislation to change these rights without having to keep to the minimum standards set under EU law, for example limits on working time, agency workers’ rights and holiday pay provisions. While the government might not be restricted from making more radical changes, political considerations will come into play when thinking of rowing-back on established workers’ rights. The fate of EU workers in the UK depends on whether a deal is reached or not. If the current proposed agreement with the EU on citizens’ rights is put in place, there will be a transition period until 31 December 2020. Until that date, EU citizens in the UK will be able to apply under the settlement scheme for the right to stay indefinitely if they have five years’ residency here. Those who have not been resident for five years by 31 December 2020 will be able to apply for pre-settled status to enable them to accrue the five years’ residency. If there is a no-deal Brexit only those EU citizens who are already resident in the UK on the date of leaving would be able to apply for settled status. It is expected that a new immigration system would come into force on 1 January 2021. Until then, EU citizens wishing to stay longer than three months in the UK will need to apply for European temporary leave to remain. For help with the implications of Brexit on your workforce and for advice on complying with April’s new rules, including identifying anyone in your workforce to whom the new rules will apply, please contact Richard Porter in the Employment Law team on 01206 574431 or email richard.porter@tsplegal.com Thompson Smith and Puxon has offices in Colchester and Clacton, Essex.